It’s an odd year (2013) and appropriately the Texas Legislature is in session. The great news is that there are no bills to date with any breed specific provisions that would curtail or extinguish our rights to own whatever dog we choose. Yea! House Bill 297 (Dangerous Dog Cases). 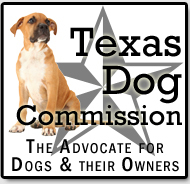 This bill addresses the glitch in Texas Dangerous Dog laws. These cases are initially heard in the Justice Courts or Municipal Courts. If your case is heard in the Justice Court, then you can appeal that decision to the County Courts in a new proceeding (de novo). However, if your case is heard in a municipal court, there is a problem. Municipal courts typically hear Class C misdemeanors like traffic violations. Traffic citations are criminal matters. The Texas Government Code provides for appeals from these small municipal criminal cases but does not provide for an appeal of civil cases. Dangerous dog cases are civil, not criminal. So, this loophole in the law has worked against dog owners whose cases are heard in municipal courts and the dog often pays the ultimate price. House Bill 297 fixes this problem and provides for an appeal for all Dangerous Dog cases regardless of which court they are originally filed. Another great thing about this bill is that it provides for a jury trial if the owner desires one in the Justice Court or Municipal Court. Currently, you get only a hearing to a judge so one person decides the fate of your dog. Some judges are open to hear the dog owner’s side of the story and some are biased against the dog owner from the start. 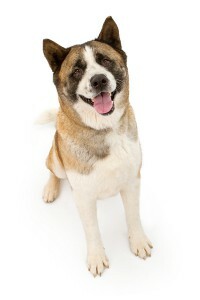 This way, the dog owner may choose to have a jury hear the case instead of a judge. Remember, in Texas, your dog does not have to even touch a person to be deemed dangerous. So, anyone’s dog could be in the crosshairs of these tough laws so that is why it is important that all dog owners get a trial from the start and an appeal in all cases. 1. Provides for an appeal for all dog owners in Dangerous Dog cases. 2. Provides for a jury trial from the start. Please contact your Legislators so that this billed is not overlooked and gets passed! This bill needs immediate action to get it attention or it will die!!! The links direct you to the legislator’s email form (see below). Senate Bill 1358 (Training for Law Enforcement in Encountering Animals). This is another good bill that needs a push to get going or it is going to die. This bill provides that law enforcement officers will be trained in the encountering of animals. It includes training, particularly aimed at dog encounters, in animal behavior, handling animal related calls, handing animals by using non-lethal means and how to avoid animal attacks without killing the animal. All too often, dogs are killed in police related encounters when trained officers could have avoided killing the animal. This bill does not result in any additional costs to government agencies because the training will become a part of continuing education of officers that is already required. This bill will address the almost “open season” on dogs that is continually perpetrated by officers who have not been trained in how to handle dogs and other animals. Please contact these committee members to get their support and give this good bill some much needed traction! The links below direct you to the Senator’s email form (see below). House Bill 858 (Prohibiting Gassing of Animals). This bill prevents the use of gassing as a means to euthanize animals. This barbaric practice needs to be stopped in Texas. This bill has had two public hearings and it has been reported favorably out of committee. Look for “Who Represents Me” and by filling in your address, the link will provide your Representative. Please call and write to get support for this very important bill. This bill has to be voted on by the House of Representatives for it to continue moving through the process. Now for the fun part! Smooch is a super dog who needs a family of his own. He has patiently waited and deserves a home to call his own. He was rescued off the streets of Houston and despite his rough start, he is a rock solid dog with personality plus and lots of smarts to boot! Smooch is an American Pit Bull Terrier. He is in Houston, Texas and is listed with Treat ‘Em Right Rescue. Smooch has gorgeous blue eyes and is white with brindle spots–a real stunning dog! He is HW negative, up to date on vaccinations, neutered and microchipped. He is 2 years old, weighs 68 pounds and is basic obedience trained. This entry was posted in 2013 Legislative Session. Bookmark the permalink.